I had no idea that Ignazio has been doing this every year. Thank you for this information! He is so special! Anna, I believe that from the mouth of Ignatius we would know nothing. Also this year we came to know Ignazio’s visit, thanks to the photos taken and published by the doctor. Reading the comments under the video, a person last year wrote that it was not the first time that Ignazio donated, so I think it’s a habit for him to do this. He is always so kind and generous. You can see how he especially cares for the children. When he performs he is so generous when there are children in the audience to seek them out. He is full of love and compassion with a heart of gold. Love him. Yes Connie, I think this side of Ignazio is really sweet, he’s a lovely bear. From time to time I need one of these posts you provide us Daniela, just to temporarily restore my faith in the goodness of some people. This wonderful, young man does this for me in just about every post. I did not know that he had donated medical equipment in the past, but am not at all surprised to hear that this is the case. He gives of himself in many ways. It shows he appreciates what has been done for him by those who love and appreciate him in their lives. Mark, the gestures of these guys, are good for the heart. Between so much bitterness and so many bad behaviors, it seems that these young people have been absolutely blessed for education and love for those less fortunate, and we fans have been very lucky to know three guys like that. Ignazio, moreover, has been able to try in person, what it means to suffer for the sick mother and this has given him a sensitivity very attentive to the happiness of children. He’s a really adorable guy !! This was so moving to see all the things the boys do from their heart. Ignazio is so special. What a thrill to see what he so generously donated. Those children must have had a very special day with him. This is a wonderful reminder of the good in the world. We need to see more of these things because this kind of generosity and love go such a long way to inspire all of us throughout the year. I love to see these posts. The boy’s kindness and generosity just melts my heart. Thank you so much Daniela for keeping us informed. You’re right Victoria, we need to see more, these beautiful gestures. I often say that newspapers and TV always tend to emphasize negative things, but it’s so beautiful, to discover that there is still so much love and so much generosity. Often, the guys, have musical idols in artists who in reality can not be called that way, I would say rude people, dressed in a very vulgar way and with obscene attitudes and words, but fashion says they are “to follow” and maybe, polite guys and workers like ours are referred to as “antiquated”. Ignazio is a rare gem and combined with Piero and Gianluca, they form a truly UNIQUE trio, for skill, education and generosity: IL VOLO. Thank you Daniela. This young man is pure gold. You say this so perfect! Jane, in two words you have enclosed everything: GOLD PURE. Special man with a BIG HEART….thank you for sharing his love for these sick children. His love can be felt throughout the world. Love his heart! Wow so amazing. Thank you for sharing this kind act. Yes Rose Marie, he is incredible. Who is it that can not appreciate such a heart? I’m very proud of him! I can only imagine the pride of his parents. I too am proud of their Allene, in fact, I think we are all of us. 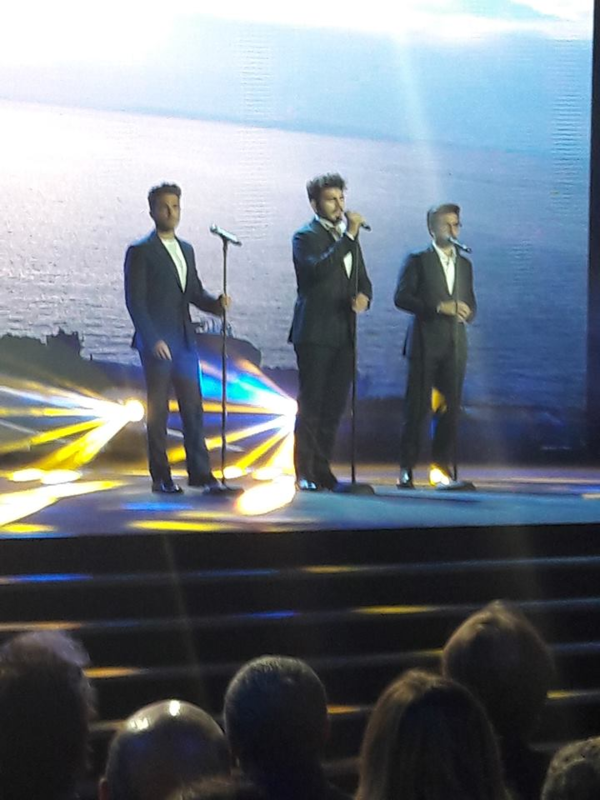 The news is just now, IL VOLO will be in Sanremo as a competitor. Here is their video where they give the news. Once again they will be in Sanremo !!! No wonder they weren’t talking about a US tour! San Remo is in February, am I correct? Yes Penina, you’re right, but I think this will not move the start of the tour in March, at most it will start in April, and will start right from Radio City Music Hall. I am happy to see they decided not to come in the winter! What happens if they win San Remo? When is Eurovision? Penina , Eurovision will be from May 14 to 18 in Israel in Tel Aviv. I knew it was in Tel Aviv but I didn’t know when. Thanks for the info! I remember reading last year about the medical equipment that Ignazio had donated to the hospital. He has a heart of compassion that is wonderful to witness. Yes Jeanette, as I said, he has a heart of gold. More than one competitor has competed at San Remo and some have even won more than once. So here’s hoping our guys do it too! You were in error Mark, as Penina confirmed you, everyone can come back to Sanremo, whether they won or lost, it does not matter. There have been many artists who have won many times and we sincerely hope that it can happen to our guys too, we cross our fingers. You must know that it is not the singer who wins Sanremo, but the song, that’s why one can come back, just have a good song. Thanks Daniela. I also did not realize that it is the song that wins, so my ignorance about Sanremo is complete! What does MUSICA CHE RESTA mean in English? Is it an Italian title? I wish them a winning song! Music that Stays or Remains. As I said–there music always stays in your head! And heart! MUSICA CHE RESTA is like saying … a music that remains … an indelible music. It’s an unpublished song, only the title is known. Until a couple of years ago, the regulation did not want to know the title or the reason for the song, under penalty of exclusion. 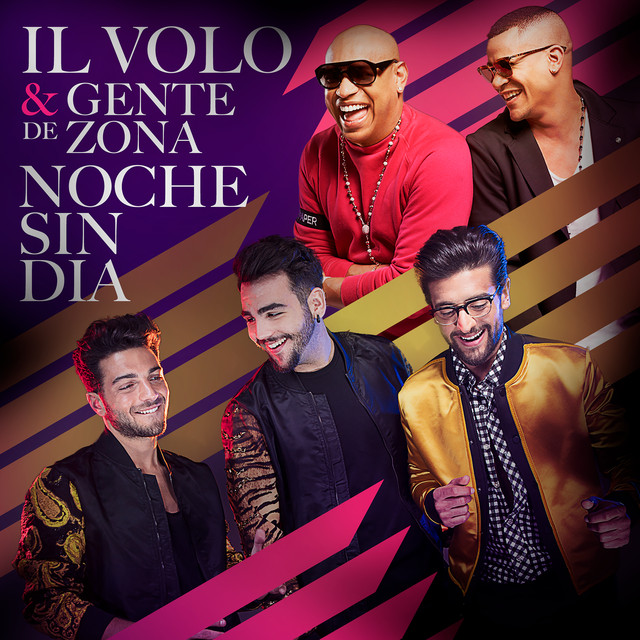 If the title is anything to go by, it will be beautiful–all of Il Volo’s music stays! It remains in our head and heart long after they have finished singing it. Ignazio is a kind soul. Loved him from the time I saw him in 2009. Great pictures. I have my reservations about Sanremo. I believe there still are many critics that do not look kindly on IL VOLO. Wonder what song they will sing. Gina, I can tell you my sincere opinion …. I am so scared too of the criticism and of all those horrible and unjustified people who have flung themselves at them. But there will be us fans to defend them, we are already sharpening our verbal weapons !! Our dear Ignazio is a gentle soul with a big heart! I also remember reading about his visit to this hospital last year. Giving back is a beautiful quality that our guys so often exhibit! And what does it mean that they will return to Sanremo as contestants? Daniela I know that you will be giving us more information on this exciting news!! Yes Annette, Ignazio is a great dispenser of joy and love, but also loves to give materially to those who need it, with particular attention to children. Annette, they will be competing in Sanremo, just like 3 years ago, they will participate with their new song MUSICA CHE RESTA, they will suffer votes and juries and ……. fingers crossed !!! to us many times as we follow his and IL VOLO’S career. Daniela for this news and translation. Merry Christmas. Grazie a te, Gale. For me it is a pleasure but often also an honor, to be able to give certain news. Ignazio, our Teddy Bear! What more to say. Ignazio is a generous soul. I understand he does this because of his mother Caterina. He is a quiet, pensive young man, he is not seeking publicity but does this from the goodness of his heart. If the doctors would not call attention to his gifts we would never hear about them. His mom and dad must be bursting with joy to have raised a young man like him. I know I am, just by being a huge fan of this special man. Yes Rosemarie,we are all proud of this boy, and I confirm that, if it were not for the doctors who emphasize his visits, we would not know anything about his actions. But how many qualities does this guy have? A man to marry! We all know how kind and generous Piero, Ignazio and Gianluca are with their time and talent. They are wonderful role models for everyone! Ignazio has such a kind and loving heart. He always seems to know the right thing to say and do. It obviously was very difficult for him as a child when his mother was ill and his sister helped take care of him. He has a great love for people and for life! You said well Margaret, all three are models to follow. Our boys are authentic treasures. Ignazio has suffered a lot as a child for the health of his mother and therefore knows what it means to suffer. If I remember rightly, that small machine that you see on last years video cost $68,000. He is indeed a very generous man, not only with his money, but also with his time. I know that Piero and Gianluca are also just as generous. Yes Jill, well said, not only with gestures, but our guys are also generous with their time and we know very well that they are always very busy, but they always find time for these small – big actions. Yes Marion, I feel perfectly represented by guys like Piero, Ignazio and Gianluca, but it is the new generations who have to look with affection and spirit of imitation to these “good guys” and in this they must be helped by the radios and by the media and social media, which they often forget who does good and instead they emphasize it does not deserve us. I think it’s amazing that Ignazio has such a beautiful heart. especially when he doesn’t make a big fuss about it. Special humans do special things without any fuss or wanting recognition. May God help him and keep his great heart and down to earth . Certainly, Rosa, it is not Ignazio who says the good deeds he does, if it were for him we would know nothing. Rose Marie, so glad you recognize Ignazio is a young man . A fine singer and person. Ignazio is a young man that was born into a family that taught him to be a good person. Thanks especially to Nina, who had to step into his Mother’s shoes at a critical time in his up bringing. Ignazio would have no doubt been taught the principle of “to whom much is given, much is expected”. Nina, too…because she wanted this little brother, so very much. The Boschetto family is no doubt very proud of each of their children. Ignazio’s generosity is often done in private without fanfare. Because he is a private and modest young man, we will rarely know the extent of his kindness or generosity. Sandi, you’re completely right, Ignazio has tried, what the lack of affection for health causes means, so he is extremely sensitive to this topic. Besides, he’s not a guy who likes to appear, I’m sure he’s a benefactor for a long time, but we would not know anything about this if the doctors in the ward had not done and spread his pictures.